Arsenal’s epic counter with Manchester City will be starting soon. The gunners have released their starting eleven and they are without Granit Xhaka and Henrikh Mkhitaryan. Arsenal has arrived at the Etihad Stadium to face Manchester City and the game will be starting soon. Most of the Arsenal fans will be hoping that their team gets all the three points so that they remain in the race for a top four finish. The Arsenal lineup has been released. Arsenal midfielder Granit Xhaka has missed this match for unknown reasons but some reports claim that the Swiss international is currently injured because he wasn’t seen in training on Saturday as his teammates prepared for today’s clash which will show the strength of the gunners. 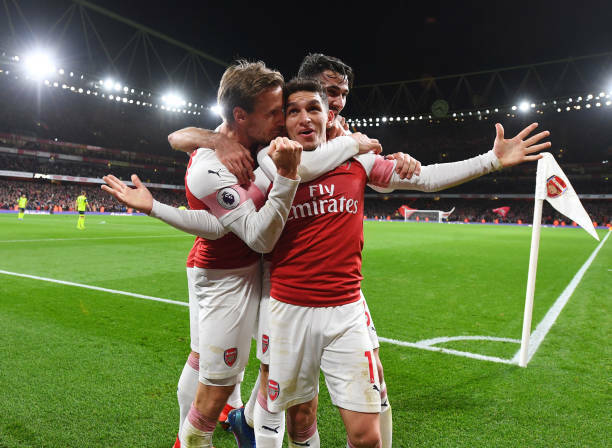 Arsenal has spent a long time without getting a win against a top six club away from home but Unai Emery will be hoping to end that season by getting a win against Manchester City who will be desperate for a win today since they are in the title race with league leaders Liverpool. Arsenal boss Unai Emery has huge respect for Manchester City and he had this day about today’s game. “It will be a tough match. Our challenge is [big] against every team, but on Sunday we are playing against the best – Sunday is against the best. I think with Liverpool, they are having a very big Premier League season.” said Unai Emery.